New work from the Foundations of Drawing Class taught by Professor Tayo Heuser. The students involved with making these life size portraits were created by the following: Hayley Durno, Ian Waldron, Michael Aiardo, Leah Clark, Nicholas King, Deven Machette, Victoria Schaufler, Sofie Skaugen, Christopher Tierney, Jamie Warlich, and Jeremy Wise. None of these students pursue a major in Art, but enjoy displaying their art for others to see. Carry On tells a story set in Japan-occupied China during World War II. In 1944, the tide turned against Japan and the war began winding down. Prior to their retreat, Japanese troops looted every Chinese village in their path. They took only food and women from these villages followed by massacring all others and burning everything to the ground. To save his daughter, a Chinese father in my film stuffs her into a large bag disguised as food. As he loads the bag onto the back of a truck along with other bags with food, a Japanese army officer spots his secret. The 2008 Sichuan earthquake, China's deadliest disaster in three decades, killed 90,000 people, including thousands of children. 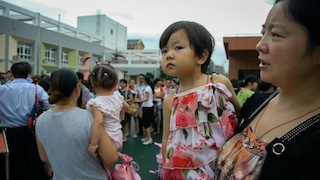 For the majority of families in China, losing one child means losing their only child. One Child follows the journey of three families, all from the devastated city of Beichuan, as they struggle to move past their loss and long for normalcy. The Dam Keeper, a short film by feature-animation artists Robert Kondo and Dice Tsutsumi tells the tale of a young pig with an important job, and a new classmate who changes everything. The short film blends traditional hand-drawn animation with digital painting techniques to bring Kondo and Tsutsumi's celebrated painting style to life. In a desolate future, one small town has survived because of a large windmill dam that acts as a fan to keep out poisonous clouds. The dam's operator, Pig, works tirelessly to keep the sails spinning and protect the town, despite bullying from classmates and an indifferent public. When a new student, Fox, joins Pig's class, everything begins to change. “The Phone Call” follows Heather, (played by Golden Globe winner Sally Hawkins), a shy lady who works at a helpline call centre. When Heather receives a phone call from a mystery man (played by Oscar winner Jim Broadbent) she has no idea that the encounter will change her life forever. 2015 Academy Award Narrative Short Film Winner. Generosity of Eye is the surprising story of a major art collection transforming into education for African American children in the Harlem Children's Zone Inside that story are three other stories. The first is the story of the eye of a collector. Why does art collector William Louis-Dreyfus fall in love with the art -- and the artists -- he collects? The second is a story of generosity: How one man's passion for art and his passion for justice are joined in a single act of generosity. The third is the story of actress Julia Louis-Dreyfus discovering the depth of her father's passion for art, the people that this passion has brought into his life, and her search for the roots of his zeal for both art and justice. The film includes extensive conversions with Julia Louis-Dreyfus, her father art collector William Louis-Dreyfus, with several prominent contemporary artists, art critics and dealers, and with Geoffrey Canada, founder of the Harlem Children'z Zone. Let your imagination take flight with this provocative, inspiring and memorable program of tales from the heart of humanity. Sometime in the future. Two men, strapped in back to back, on a journey from Moon to Earth. Just Reality. Real Justice. Edward returns to the rural American farm of his childhood on a desperate mission to unearth a secret buried for over 50 years. Shovel in hand; he is ready to exhume the painful truth of what landed in the spring of 1960. As Edward digs, his mind drifts back to the fateful night when he and his father witnessed a UFO crash-land in the distant fields of the farm. Moments after the event, eight-year-old Edward is ordered inside while his father investigates the scene armed with a shotgun. When Edward accidentally sees his father brutally dragging a living form back from the crash-site and into the barn, his curiosity is piqued. Edward eventually works up the courage to sneak into the barn and see the alien, but the confrontation is more shocking then he could have imagined. Edward finally sees his father for who he really is; a cold and distant man who is plagued with regret for not having fought for his country in World War II. Now, at the height of the Cold War, his father has found a way to redeem himself. Abandoned by his mother in a small, strange town, 8 year old Ollie makes an unlikely connection when he discovers mysterious lights in his backyard. Daniel leads a lonely, mundane life. After the death of his mother, he discovers an unlikely new friend in the form of a pedestal fan that appears to come to life. 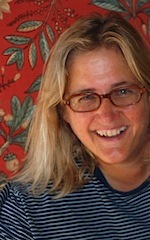 Michele Meek is an award-winning filmmaker, writer and educator who pioneered the development of NewEnglandFilm.com and led the transition of the 30-year-old film magazine The Independent to the nonprofit Independent Media Publications where she remains a board member. 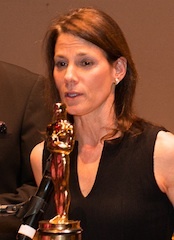 She co-edited The Independent's Guide to Film Distribution (2014) and has written on film in publications including MovieMaker Magazine, The Independent, and Indiewire. She is currently a Ph.D. candidate at University of Rhode Island and is currently at works on a short narrative/documentary hybrid film about two girls who imagine their way to a Berlin adventure playground. She has taught at Boston College, Emerson College, Massachusetts College of Art and University of Rhode Island. For more information, visit her website at www.michelemeek.com or contact her at mm@michelemeek.com. oin as we celebrate the 10th Anniversary of the Roving Eye International Film Festival, a unique collaboration between Roger Williams University and Flickers: Rhode Island International Film Festival. All programming for the Festival has been produced by students in the Curation and Film Production Class that includes: Bernadette Benman, Laura Burchett, Eli DeFaria, Hannah Marie DuPont, Clayton Durant, Hayley Durno, Olivia Fritz, Ryan Harper, Jeremy Marsh, Madison May, Gabriela Medeiros, Christian Moran, Stephanie Nisbet, Timmy Sclafani, Nicole Siino, Christopher Wade, Ian Waldron with support from Andrew Burgess, Alex Campbell, Francis Ferdinand and Ronald Scofield. “Drastic Measures” is Roger Williams' oldest acapella group and open to all students in the Roger Williams community. Come listen to them sing! “Drastic Measures” and multiple groups from around New England are performing a wonderful night of acapella music Admission is FREE (a limited number of their iconic Drastic Measures t shirts will be available for purchase). The Roving Eye International Film Festival will be offering students daily entertainment during lunch on Monday and Friday in the Roger Williams University Upper Commons Dining Hall. Programming includes a series of animations and cinematic shorts on display. Experience a quality lunch and great entertainment. 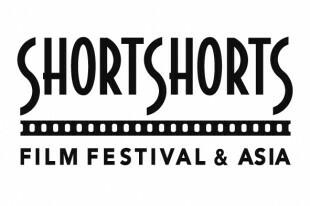 Our official international partner the Short Shorts Film Festival & Asia, one of the largest Oscar qualifying short film festival in Asia, presents a collection of Japanese short films from their 2014 festival. One day, a man proposes to a woman. Instead of replying positively to the man who was hoping for a simple "Yes," the woman reveals that she must confess 17 secrets. Can he accept all these confessions and propose to her once more? An old man unable to cope well with his son and daughter-in-law, and a woman who works at a night club and has no luck with men. They meet at the same place every morning, providing an ear for each other. Soon a small change occurs in their respective lives. Sulochan, an Indian businessman, finds his new life in Tokyo is extremely lonely. One day he meets CAN, a talking vending machine, and an unconventional love affair is born. A soccer team in Tokyo heads to Kozu Island to have a match with a local team in the Island. 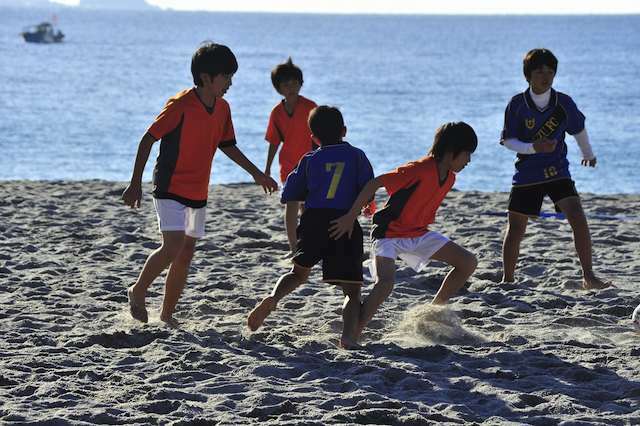 During the game, Kazu, a young player in Kozu Island, happens to play against his home town's team. With all the folks' watch, how will he perform in the game? Learn about the year-long focus by the Flickers: Rhode Island International Film Festival (RIIFF) on the art, history and film of legendary actor, Anthony Quinn presented in collaboration with the RI Film and Television Office and the Anthony Quinn Foundation. Running through November 2015, this special program will include free screenings of his films at libraries across the state with a curated monthly series; scholarly monographs; panel discussions with film and history scholars; special breakout screenings of signature films, a student essay contest (high school and college) on the legacy of this seminal artist and a video competition geared for area college students. There have been a select few Latino actors who broke the barrier of language and stereotypes to make their way in the United States, paving the way for new generations of actors like Javier Bardem or Antonio Banderas. Perhaps the most notable was the magnificent Anthony Rudolph Oaxaca Quinn, born on April 21, 1915, in Chihuahua, Mexico who became a Hispanic legend, managing to get from a humble beginning in Mexico to the most glittering reputation in Hollywood. He was the son of Francisco Quinn, of half Irish and half Mexican origin, and Manuela Oaxaca, Mexican descendant of Nahua. At an early age, his family moved to Texas and Quinn had to start working. In 1936, Quinn made the leap into the acting profession. That year he had a role in the play Clean Beds with Mae West and appeared in the film Parole! This opened the door to other film roles, often playing the part of the bad guy. Quinn did some of his finest film work in the 1950s and 1960s. He played Mexican revolutionary Emiliano Zapata in Viva Zapata (1952), a performance that won him the Academy Award for Actor in a Supporting Role. Quinn received that same honor again in 1956 for his portrayal of the painter Paul Gauguin in Lust for Life with Kirk Douglas. 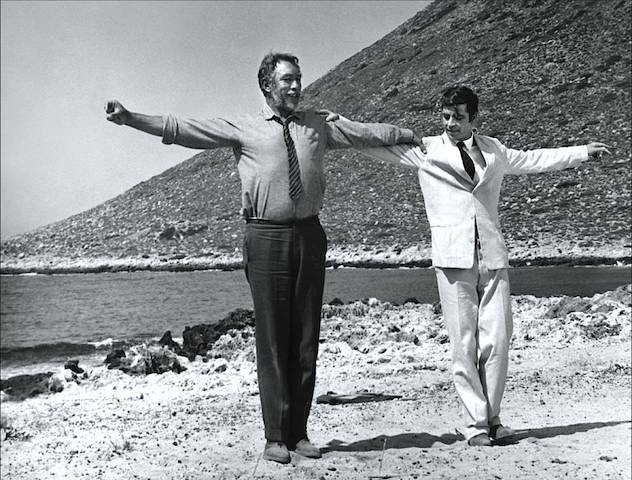 He was also nominated for Best Actor in 1957 for Wild Is the Wind and in 1964 for Zorba the Greek. Quinn achieved box-office success with starring roles in The Guns of Navarone (1961) with Gregory Peck and David Niven and Lawrence of Arabia (1962) with Peter O'Toole. Katherine Quinn is the widow of legendary actor and artist, Anthony Quinn. From 1985 until his death in 2001, she worked very closely with Quinn in his creative life as a painter, sculptor, and writer. 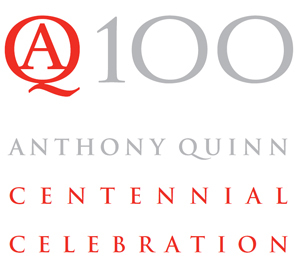 To carry on his legacy, Katherine established the Anthony Quinn Foundation in 2001, dedicated to promoting the importance of the arts in all areas of education. In 2004, Katherine published a coffee table book, Anthony Quinn's Eye: A Lifetime of Creating & Collecting Art, which was distributed by Norton & Co and was the catalyst for a traveling exhibition that toured U.S. museums for two years. Katherine was born and raised in Long Island, New York, and graduated from SUNY Stony Brook with a B.A. in Political Science. She currently resides in Bristol, Rhode Island with her and Anthony's two children, Antonia and Ryan. Dr. Paola Prado teaches courses in journalism, media law, digital media production and mass communication theory. 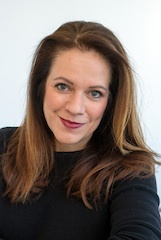 She has written book chapters about Latin American media on topics of media diversity and inequality as well as a chapter on the impact of the Internet on traditional gender roles in the Dominican Republic. Dr. Prado also has extensive professional experience as a journalist, media publisher, consultant, manager and producer for outlets such as CBS TeleNoticias, The Weather Channel Latin America, Reuters Television, and RealNetworks. She is a co-founder of Com2, a citizen reporter digital journalism workshop funded by the Knight Center for International Media at the University of Miami to provide journalism training for marginalized populations in the Dominican Republic. Fluent in four languages, energetic, articulate and engaging with colleagues and students alike, Dr. Prado embodies many of those qualities that are the foundation of our university’s values of global perspective, learning for its own sake, civil discourse, civic responsibility and student/faculty research. Winner of the Pulitzer Prize for his debut novel “Tinkers,” Paul Harding’s most recent work, “Enon,” has earned comparable praise. He teaches the MFA writers’ workshop at the University of Iowa. The event is free and open to the public. Like most great discoveries, the first time was an accident. The filmmakers will be present for Q&A. Award-winning filmmaker Jason Knade directs the debut music video for Steve Grand, a hot new artist to hit the country scene. Set in the run-down Kensington neighborhood of Philadelphia, a local artist talks about her shoes, her haircut, and why she changed her name. A self-proclaimed 'ex-lesbian,' Jill hunts down her ex-girlfriend Jamie to prove to herself that she is no longer attracted to her. A satire about sexuality where nothing is as it seems, Heterosexual Jill is a pseudo-romantic comedy about being in love with who you think you are. Joanna is an attractive and intelligent woman. In August 2010, she finds out that she is at death's door and going to die within the next three months/ she promises her 5-year-old son, Jas, that she will do her best to survive as long as possible. 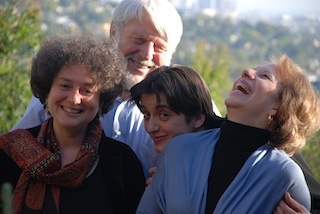 The documentary depicts pieces of everyday existence of Joanna, her husband Piotr and Jas. 2015 Academy Award Documentary Short Nominee. 2015 Academy Award Documentary Short-listed Nominee. Onondaga Nation has had a sovereign government: the Council of Chiefs and the Clan Mothers, a democratic system that had been in place for centuries before the arrival of any white settlers. They are also part of the larger governing body of Indian Nations called the Haudenosaunee Confederacy. They have used non-violent resistance as well as the United States legal system to stop everything from highways being built across their lands to New York State law enforcement infringing on their sovereignty. Most often, American culture either ignores native culture completely or treats atrocities as something from the past. But now as white middle class families are being driven off their own property due to fracking and the poisoning of water and air across the country, a much-needed conversation must be had that includes the Onondaga in order to find solidarity and reconciliation. 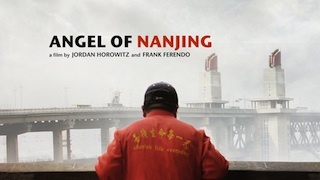 plus a sneak preview of a major new documentary that will be screened at this year's RIIFF in August! Annual April programming that focuses on the Jewish experience through short films, documentary, media and a guest speaker. Presented in partnership with FLICKERS: Rhode Island International Film Festival, the Edwin S. Soforenko Foundation, the RWU Department of Communication the RWU Feinstein College of Arts and Sciences, Dean Robert Eisinger, Associate Dean for Academic Affairs, Roberta Adams, the RWU Film Production Collaborative, the RWU Screenwriter’s Guild, RWU Hillel, and the Spiritual Life Office. Each us of us have drivers that move us to achieve our goals and dreams. In the spirit of faerie tale, we find that the world has gone awry when a monstrous dust storm ravages the land, leaving a threadbare itinerant circus victim to the ceaseless howling winds. Danny Says is a documentary on the life and times of Danny Fields. Since 1966, Danny Fields has played a pivotal role in rock 'n' roll of the late 20th century, working for the Doors, Cream, Lou Reed, Nico, Judy Collins; managing groundbreaking artists like the Stooges, MC5 and the Ramones; and hanging out in Andy Warhol's Factory. Danny Says follows Danny from Phi Beta Kappa whiz, to Harvard Law dropout, to Warhol confidant, to Director of Publicity at Elektra Records, to punk pioneer and beyond. Danny Says is a story of marginal turning mainstream, avant garde turning prophetic, as Fields looks to the next generation. Learn about the art and craft of making a short film from the selection of the subject matter to undertaking an international shoot. 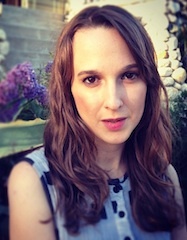 Anya Leta is a writer and film director born in Fairfield, Iowa. Anya holds a B.A. in Screenwriting from the UCLA School of Theater, Film and Television, and an M.F.A. in Film Directing from New York University, Tisch School of the Arts Asia. She has spent the last five years living and making films in Asia (Singapore and India), and now lives and works in Los Angeles. 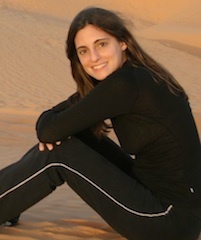 “Points of Origin” is her Masters Thesis film for NYU. 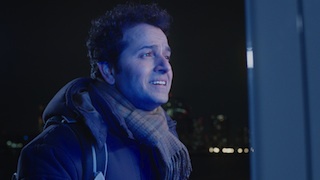 “Points of Origin” premiered at the Palm Springs International ShortFest in 2014, and won "Best Short Screenplay" at Rhode Island International Film Festival. She currently works as a Director/Co-Producer for In The Flicker, a Los Angeles/Portland-based production company, and with screenwriter Ron Nyswaner and his company, Blue Days Films, in scripted television. What elements make up a great short film? 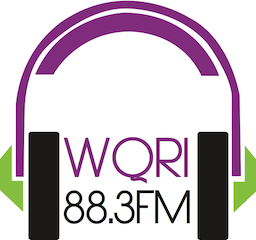 To answer this question and many more, the program director of RIIFF, Shawn Quirk, will host a screening of newly submitted short films that have yet to be accepted into this year’s RIIFF. At the screening, Shawn will discuss the art of the short film, and what festivals look for when accepting them. During the screening audience members will vote for their favorite short film (with English subtitles), and the film that earns the most votes will go on to be accepted for official competition in this year’s RIIFF. Come see brand new cutting edge independent work and you might discover a future Oscar® nominee! 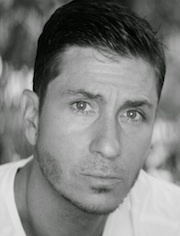 Shawn Quirk is the program director of the Flickers: Rhode Island International Film Festival. 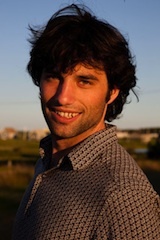 For several years he has worked as an independent filmmaker and foreign language teacher in France and the U.S. During his time abroad, Shawn worked on a number of film productions in both Belgium and France, including assistant camera work for the two-time Palme d’or winning Dardennes Brothers’ film,“The Kid with the Bike.” Over the past year, Shawn has been curating year-round film programs at RIIFF, and helping to further establish the Festival as one of the country’s leading platforms of discovery for global independent cinema. Learn about digital filmmaking techniques in this hand’s on program by the RWU Film Production Collaborative and the RWU Screenwriter’s Guild. Come experience what it's like to be on a professional film set! The RWU Film Production Club will be shooting their popular web series "Cactus Liberation Army" an improv Mock-umentary. Get an interactive look at how a set is run and even make a debut as an extra. Enjoy candy and popcorn while learning the ins and outs of on set production. Throughout the day there will be student displays of artwork, photography, written work, short films, acoustic performances, LGBT Fest, an open mic night. Ongoing activities throughout the morning and early afternoon with the RWU Musicians Guild performing between programming segments. 19,000 to 1. A fighter’s heart in Cuba. 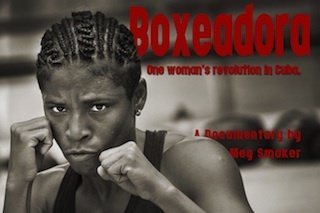 One woman defies Fidel Castro’s ban on female boxing to follow her dreams of Olympic glory and become Cuba’s first female boxer. 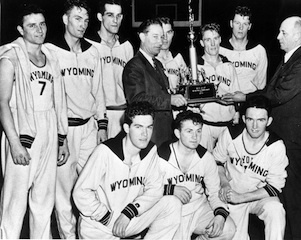 Seventy years ago as World War II intensified on both the European and Pacific fronts, the University of Wyoming Cowboys basketball team made history by winning the 1943 NCAA Championship and then going on to beat National Invitational Tournament champions St. John’s in the first-ever “World Championship of Amateur Basketball,” played on April 1, 1943 at Madison Square Garden. The Pokes won the game and began the process of defining the NCAA as America’s premiere collegiate basketball tournament. Within days, many of the players from both teams were on their way to help America win the War in Europe and the Pacific. Features interviews with team members Kenny Sailors, Jimmie Reese and Tony Katana as well as reminiscences the honorable Alan K. Simpson, Fuzzy Levane (St. Johns player and former NY Knicks coach), Dave Walsh (the Voice of the Cowboys), Jim Brandenburg, Tracy Ringolsby, Jack Kaiser, Jack Griffin, Marialyce Barrett Tobin, Lou Roney Jr, Ken Cook, Doug Essert, Lisa Volker Bratton, Dale Volker, Makenzie Bartsch, Lindsay Stillwell and Kim Komenich. Film, Media Literacy and Storytelling. How does one become a filmmaker? How do you take an idea and transpose it to the screen? What are the steps? In a freeform discussion, learn from two filmmakers who will share their journey and inspiration. 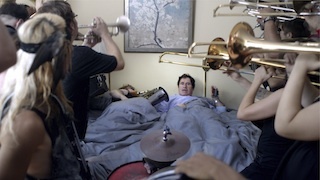 Featuring directors Eric Latek, Duncan Putney, Chris Sparling and Justin White. Hosted by Andrew Lund, filmmaker and entertainment lawyer. Eric Latek is a director of photography, motion graphics artist, and he directed My Name is Anna, a documentary short that screened at last year's RIIFF. He is currently at work on a feature film Tiger. 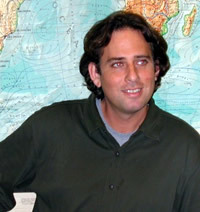 Chris Sparling was born and raised in North Providence, Rhode Island. 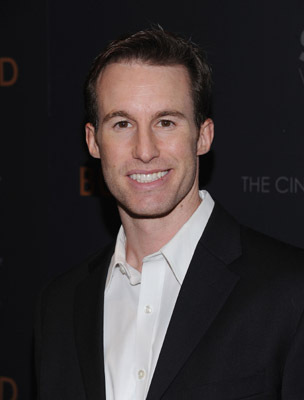 He wrote the 2010 film BURIED starring Ryan Reynolds, for which he won "Best Original Screenplay" from the National Board of Review of Motion Pictures, as well as a Spanish Academy Award in the same category. His Black List script, ATM, was produced by Gold Circle Films and released by IFC Films in 2012. Chris's feature directing debut, the supernatural thriller THE ATTICUS INSTITUTE, will be released in early 2015. His most recent script, SEA OF TREES, is slated to begin production in July of 2014, starring Matthew McConaughey and directed by Gus Van Sant. He is currently adapting author Jo Nesbo's bestselling crime novel BLOOD ON SNOW for Warner Brothers and Leonardo DiCaprio. 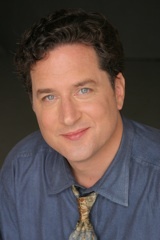 He has also sold TV projects to F/X, Universal Television, and Fox Television Studios. Amish Trivedi, an adjunct faculty member of writing studies at RWU, will read from his recently published book, "Sound/Chest." There will be a Q&A and book signing after the reading. Celebrating new film work created by students at Roger Williams University. Featuring films from members of the RWU Film Production Club and new works from the Visual Arts Program (VARTS) in Digital Media taught by Professors Amy Lovera and Murray McMillan. 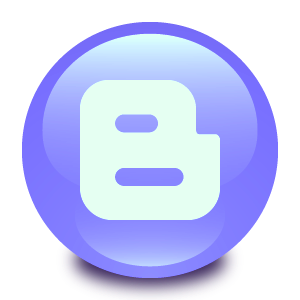 Bring a poem, song video or story and share it. Bong-Moo, an old stubborn farmer, takes extraordinary measures to save his corn field and ends up receiving some surprising results in the end. BOUVETØYA is a personal voyage across tumultuous seas, to leave a message to future generations on the summit of the most remote land on the planet: Bouvet Island. They have climbed the highest mountain on every continent and walked across deserts of snow to the North and South Poles. Now, father and son are sailing across some of the toughest oceans to the most remote, unexplored place on Earth – Bouvet Island. Jason Rodi, a filmmaker, joins his father Bruno, a globetrotting explorer, on a remarkable adventure to a volcanic land mass located in the heart of the Antarctic Ocean. On Bouvet Island, Jason and Bruno trek to the summit and plant a time capsule, a titanium tube filled with messages from around the world. The content of the time capsule, like the challenges facing them on their journey, make THE LAST PLACE ON EARTH – a dramatic quest, a stunning documentary that combines wildlife, human adventure and a distinct global message. 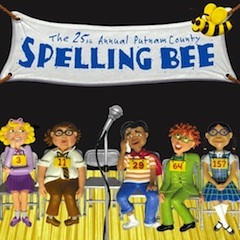 “Winner of the Tony and the Drama Desk Awards for Best Book, THE 25TH ANNUAL PUTNAM COUNTY SPELLING BEE has charmed audiences across the country with its effortless charm and humor." A year-long focus by the Flickers: Rhode Island International Film Festival (RIIFF) on the art, history and film of legendary actor, Anthony Quinn presented in collaboration with the RI Film and Television Office and the Anthony Quinn Foundation. Running through November 2015, this special program will include free screenings of his films at libraries across the state with a curated monthly series. A deadly love triangle erupts when a charismatic trickster Nardo Denning (Milland) finds his ex-lover Meg in the New Mexico desert where she and her husband labor to build their ranch. The crook takes the couple hostage to take him safely to Mexico with his stolen loot in tow, which leads to a desperate trek across treacherous terrain as tensions rise. This is a free screening. The Martinu Quartet was formed in 1976 by students of the Prague Conservatory and named to honor one of the great Czech composers, Bohuslav Martinu. Their repertoire includes music by the world’s great composers, as well as first performances of pieces by contemporary composers selected by the quartet. Their most recent album features RWU’s new music professor, Elliott Miles McKinley. The Martinu Quartet was formed in 1976 by students of the Prague Conservatory and named to honor one of the great Czech composers, Bohuslav Martinu. Their repertoire includes music by the world’s great composers, as well as first performances of pieces by contemporary composers selected by the quartet. Their most recent album features RWU’s new music professor, Elliott Miles McKinley. Twenty-five years have passed since the fall of the Iron Curtain and the arrival of former Soviet Union refugees to Richmond, Virginia. After decades of closed door policies under communism, liberalization in the 1980's allowed for Jewish emigration. With over a million emigres, mass resettlement efforts ensued in the United States. Draw Back the Curtain captures the experiences of resettlement and the Richmond community volunteers who welcomed them. The documentary explores dimensions of immigration, acculturation, and identity while weaving through the stories of thirty individuals. Whether they came as children or later in life, they share challenges and nostalgia for what they left behind, yet proudly identify themselves as American. Come celebrate the Indian tradition of Holi Festival of Colors. Holi, for Indians, is both a religious as well as a socio- cultural festival during which a wide range of colors are smeared over each other as a mark of love and belongingness. 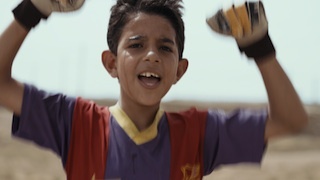 Join as we conclude our celebration of the 10th Anniversary of the Roving Eye International Film Festival, a unique collaboration between Roger Williams University and Flickers: Rhode Island International Film Festival, and we announce the winners of this year’s Roving Eye Awards. All programming for the Festival has been produced by students in the Curation and Film Production Class that includes: Bernadette Benman, Laura Burchett, Eli DeFaria, Hannah Marie DuPont, Clayton Durant, Hayley Durno, Olivia Fritz, Ryan Harper, Jeremy Marsh, Madison May, Gabriela Medeiros, Christian Moran, Stephanie Nisbet, Timmy Sclafani, Nicole Siino, Christopher Wade, Ian Waldron with support from Andrew Burgess, Alex Campbell, Francis Ferdinand and Ronald Scofield. The mission of FLICKERS: Rhode Island International Film Festival is to discover and empower filmmakers. 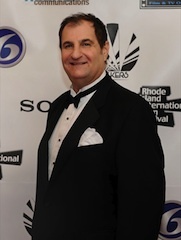 Held in Providence, and at locations throughout the state, RIIFF is one of only 19 film festivals worldwide that is a qualifying event for the Oscars in the documentary and narrative short categories. It is also New England’s largest film festival. Its innovative programming, cultivated industry ties, and loyal audiences have made the Festival a strategic and desirable platform for film premieres, drawing hundreds of independent filmmakers from around the globe. 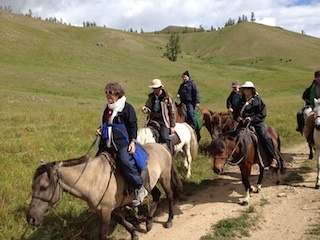 The next Festival will take place August 4-9, 2015. 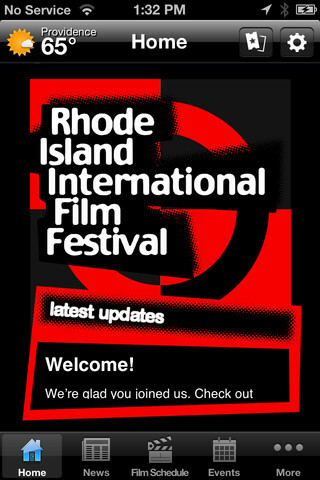 For more information about the festival, please visit www.rifilmfest.org. Guests should enter through the main entrance at the fountain. they will be able to obtain a guest parking pass. Lot 24a will be blocked off for guests of the festival. Proceed through the main entrance through to the lot 24a on left. Events will take place in the Marine and Natural Bldg., Global Heritage Hall and the Mary Tefft White Cultural Center.